Nothing elaborate or "staged." A simple familiarization tour of the daily workings of a community pharmacy is informative enough. Interaction with patients and staff is essential—maybe joining the pharmacist behind the prescription counter to chat with patients. Time for a personal meeting. Set aside some time in your tour schedule for a one-on-one talk with your visitor about some critical issues facing community pharmacy. This helps build your personal relationship with the legislator, and it helps establish you as an information resource on health care issues. Be prepared for questions from the legislator and expect the staff people, who usually come along, to take notes and learn from the experience. Know the number of your patients you serve monthly, how many are on Medicaid and Medicare, and other basic community service data for your pharmacy. Include this data in a printed Pharmacy Profile to hand out to the legislator and their staff members. Act naturally, as with any other visitor. 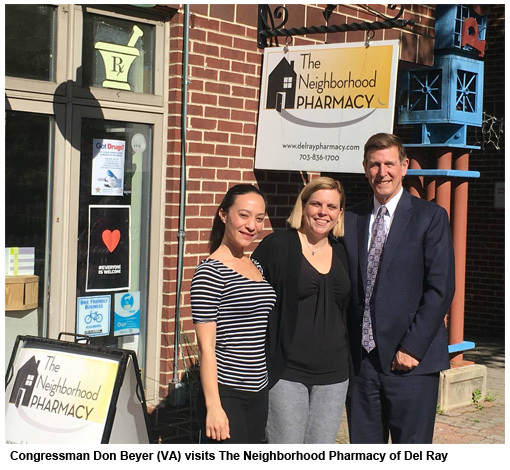 Don't lobby them too much with political issues, but do save some time during their visit to raise community pharmacy's issues. Just seeing your daily operations should ensure that the legislator never looks at community pharmacy care in the same way as before the tour. You will have achieved your purpose and established yourself even more as an "expert" resource.